Listowel picked up the prestigious award this afternoon. LISTOWEL IN COUNTY Kerry has picked up the award for being Ireland’s tidiest town in 2018. This year marks the 60th anniversary of the SuperValu TidyTowns competition. Westport in County Mayo was the winner in the tidiest large town category. 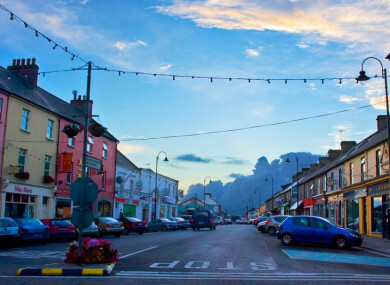 Glaslough in County Monaghan won the prize for the tidiest village in Ireland. The tidiest large urban centre went to Ballincollig, County Cork. Speaking after the awards ceremony, Minister Ring said Listowel town is a “very deserving” winner. “Listowel is one of a small number of centres who have consistently entered the competition since its launch in 1958 and in the intervening years have worked steadfastly on improving their position in the SuperValu TidyTowns competition. Today, all that dedication and effort has paid off,” he said. The minister also congratulated the other prize-winners announced today, stating that the work of all those involved in the TidyTowns effort results in the attractive and welcoming towns and villages we see all over the country. “The voluntary work that people put in to their communities brings great pride, a great sense of achievement and great camaraderie to those communities. That is why this competition has flourished for 60 years,” he said. To mark the anniversary of the competition, the minister also announced a special allocation of €1.4 million to support the work of individual Tidy Towns Committees around the country. Managing Director of SuperValu, Martin Kelleher said 2018 was a landmark year for the contest with close to 900 committees entering and 12 new committees getting involved for the first time this year. He said there is no other competition like the TidyTowns contest in Europe. “The competition has had a huge benefit across Ireland for the past 60 years, and this year was no exception, with SuperValu TidyTowns committees building greenways, eradicating plastic straw use and delivering heritage projects, while bringing people from all ages and backgrounds together to build thriving, sustainable communities,” he added.